These testimonials were provided by our customers from our MOVE PERFORMANCE REPORTS. We provide every customer with this report at the completion of their move, along with a self addressed envelope for them to submit back to us. All reports are reviewed by our President. We list our sales consultant and crew member's names on each report. We gather this information quarterly to obtain our overall quality rating for the quarter as well as issue bonuses to our crew members whose names appear on our "Top 10" reports for each quarter. This team worked like a well oiled machine and kept reassuring me that it would all get done and that they would handle it. They were courteous, neat and fast. (Even when I kept changing my mind about furniture placement that required them to take a part a bed, again). Everything arrived in great shape in the time frame that was predicted. I am truly impressed. 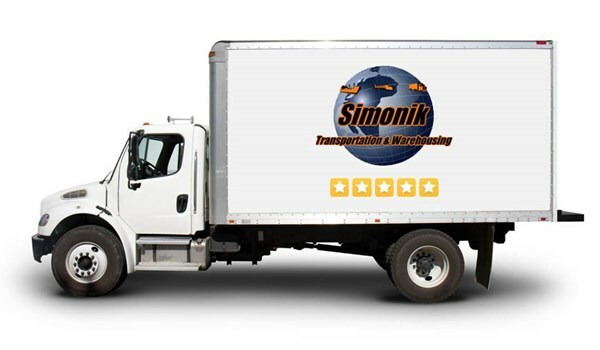 In the past my son hired Simonik to move across the country to Seattle, Washington (including his precious car) and my daughter also hired your company to move from Miami to Manhattan and then back again. We all have been more than satisfied, and would give high recommendations. The crew was great to work with. Very courteous and professional. Craig and Jane were great too! Murphy's experience and leadership was demonstrated, everyone worked well! We had a lot to move and we got it all done. I was impressed we moved so much within 4 hours. They were excellent! I would try them again today! Mr. Murphy was well organized, polite, kind and respectful of my property. Mr. Poole was a great comic relief. Mr Budden gave great advice and consultation. Mr. Newby was a wise gentlemen with great concern and poise. They did their work quickly and were very responsible for the walls and woodwork. I was extremely impressed by how professional the men were. They were respectful of us and our stuff. All them men were very courteous, helpful and very hard workers. You should be proud to have such hard and wonderful workers. We were impressed with how fast they packed and unpacked the truck. Nothing was broken or damaged. It was an extremely hot day and all movers worked hard and did an excellent day.